It seemed like a lot longer than 29 months that Woods had been gone from the top spot in the World Golf Rankings. But Woods’ climb back to the top has been a slow and steady one. He has certainly made strides under swing coach Sean Foley, and with two-straight wins coming into the 2013 Masters, Woods is the big favorite to win a fifth Green Jacket. It’s been eight years since Woods last won the Masters, coming in 2005. And it’s been nearly five years since he has won a Major championship. You can bet he will be the most talked about player coming into the 2013 Masters though. When the final putt dropped the Valero Texas Open on Sunday, the Masters betting lines went from futures, to week-of. And looking at the odds to win the 2013 Masters on the Monday of Masters Week, Woods is installed at 3 to 1 at Bovada Sportsbook. This is a slight move, as last week he was sitting at a firm 5 to 2. The payout hasn’t changed much though. But one player who certainly improved his standing with sportsbooks was Rory McIlroy. It’s been a rollercoaster ride for McIlroy in 2013. He started off the year playing poorly, but has been playing better of late. Things seemed to click at the Cadillac Championship during the final round, where he shot a 65, finishing in the top-10. He elected to play the week before the Masters to keep his tournament flow going. A second place finish might be just the thing he needed to transfer that success over to Augusta. We all know that McIlroy can play Augusta National well, but his decision to stay in San Antonio for the week seemed to have helped his confidence. McIlroy jumped from 12 to 1, and is now paying out at 8 to 1 on a wager made for him to win heading into the first round. Other notable names to pay attention to on the odds include Phil Mickelson. Mickelson won the 2004, 2006, and 2010 Masters. If he wins in 2013, he will tie Tiger Woods and Arnold Palmer for the second-most green jackets all time. Justin Rose is second-highest player no the odds to have not won the Masters. Rose is set back at 20 to 1, looking for the first Major championship victory of his career. Oddsmakers certainly believe that Rose has a good chance to do just that. This Masters looks like it will be one for Woods to firmly supplant his status back atop the game, but there are a ton of different players who are ready to challenge him. 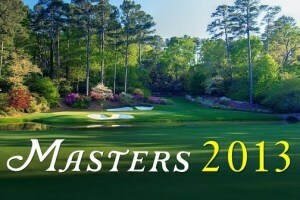 For a complete look at the odds to win the Masters, be sure to click on one of the links provided for the full field.